Wildlife is an integral part of the Ontario environment. Nevertheless, development and our increasing population are exerting pressure on natural areas and many species of fauna and flora. The prospect of HSR presents additional threats to our wildlife. The construction of HSR will cause the complete destruction of all existing vegetation and physical structures along its path. The loss of habitat of native species is inevitable when the rail line intersects with ponds, creeks, woodlots and pasture lands. 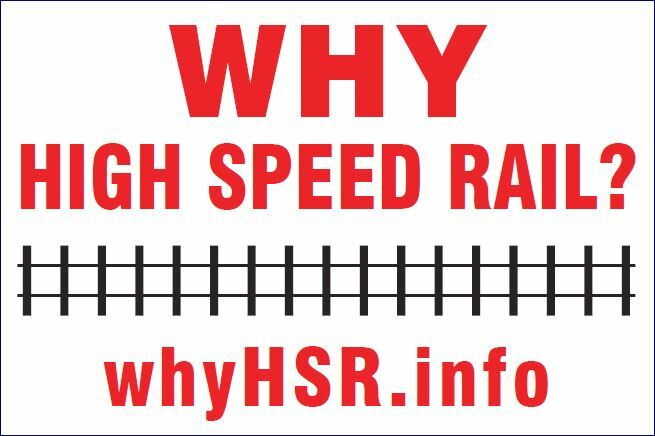 The impact of the HSR on woodlots will be profound. Changes in the composition of woodland vegetation will cause a loss of biodiversity. There will be ongoing degradation of the landscape as plant communities are disturbed in natural areas and opportunities created for invasive weed species following construction work for the HSR. Our highways are a significant cause of animal mortality and HSR will contribute to further losses for some species. Many birds have difficulty avoiding vehicles moving at highway speeds. Increased mortality may result along a HSR track when birds perched nearby during the quiet periods between trains are surprised by a high-speed train. Preventing HSR collisions with large mammals will require a high chain link fence barrier. The installation of a fence barrier will also prevent the regular movements of species such as white tailed deer especially during the fall breeding season or in the winter when they are moving between feeding and shelter areas. The HSR and barrier may restrict the movement of other wildlife species such as amphibians that have regular seasonal movements between breeding and overwintering sites. Barriers along the length of the HSR route will cause fragmentation of the habitat of some terrestrial species. Between Kitchener and London, habitats will be dissected into smaller patches north and south of the HSR line. The fragmentation of wildlife populations can restrict normal gene flow. Isolating small populations of an animal may reduce the viability of the species leading to local extinction. In other areas of North America, the migration of wildlife across highways and railways has been accomplished with mixed success using rather expensive underpasses and overpasses. In meadowlands, HSR will cause loss of habitat and disturbance to species such as the bobolink and eastern meadowlark that are already challenged to find adequate breeding sites. Generally we can expect changes in populations of many species due to a reduction of suitable habitat. Individual wildlife species respond differently to development. Some populations stressed by the disturbance of HSR may become more vulnerable to other pressures in the environment. Another unfortunate consequence of the HSR will be the barrier it creates to the movement of people and their ability to access the landscape, appreciate natural areas and encounter local wildlife. ← When can we expect to see better passenger rail services in southwestern Ontario?